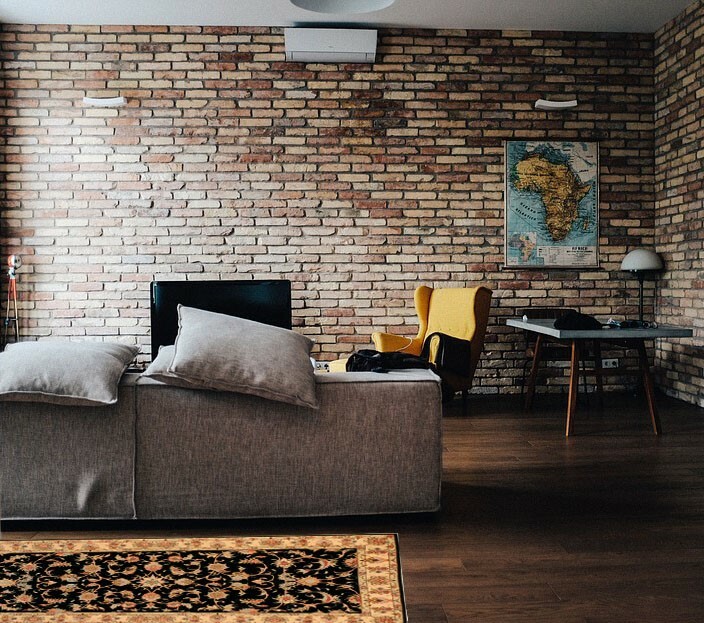 Although Persian rugs are surprisingly hardy and durable, they need to be looked after so they can keep looking good. Many rug owners inadvertently damage their expensive investments only because they are not aware of the various factors that could damage their rugs. Here are 7 ways you could be unknowingly destroying your Persian Rug. Over a period of time, the sun’s rays will cause the bright, beautiful colors of the rug to fade. If the rays of the sun hit just one side of the rug, the discoloration will be very noticeable, with that one part looking faded while the rest of the rug retains its bright colors. The best way to avoid this is by trying as much as possible to keep the rug away from direct sunlight. If this is unavoidable, the next best thing to do is to rotate the rug regularly so that it is evenly exposed to the sun. Dust and debris that collect on the rug settle down at the bottom of the pile and when you walk over it, that debris abrades the material, causing it to fray and lose its sheen. A gentle vacuuming using only the suction feature will get the dirt and debris out without damaging the pile. Alternatively, you can get the excess dirt out by brushing the rug gently with a soft bristled broom. Too many footfalls will compact and erode the pile, causing it to age prematurely. 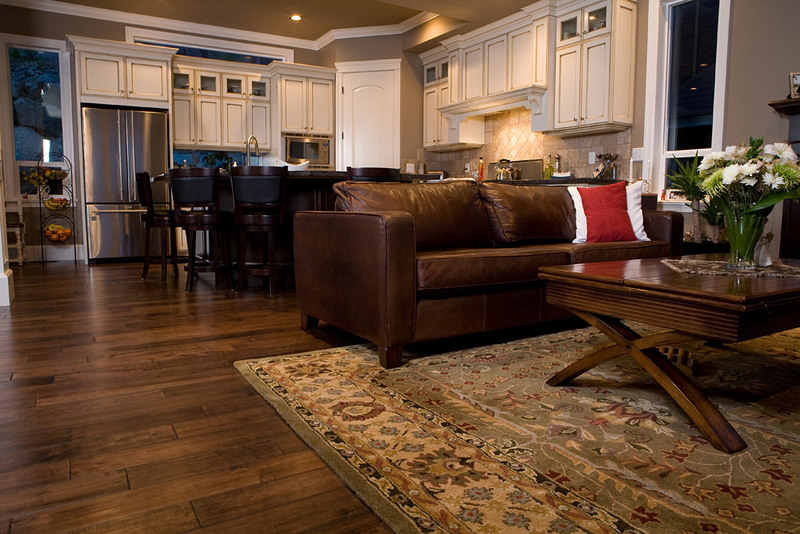 Placing your rug in an area that has less traffic is the best way to extend its life. 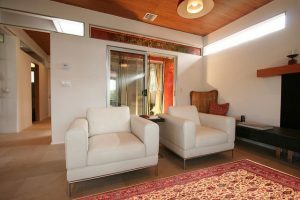 If that is not an option, you should rotate the rug at least once or twice a year so it wears out evenly. Using the wrong chemicals or wrong washing process can cause irreversible damage to your rug. Harsh chemicals can react with the natural dyes as well as the natural fibers of the rug resulting in discolored patches. Handling the rug wrongly can cause it to stretch or rip. 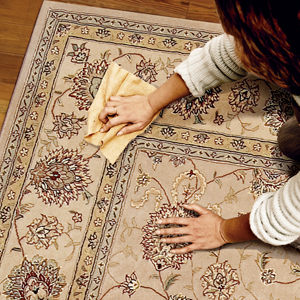 Washing a rug requires special care and is best left to the professionals. Food and drink spills must be cleared immediately or they will dry out on the rug, resulting in stubborn stains that are difficult to remove and will mar the flawless look of your rug. Food and drink spills are easy to clean up if done immediately. Simply take a clean, damp cloth and press over the soiled spot. You may need to repeat this a few times to remove all traces of the spill. A wet rug that is hung out to dry will start to sag and will look terribly shabby and uneven. The correct way to dry a wet rug is by laying it out horizontally on a clean, flat surface and letting it dry naturally. Rolling your rug in plastic wrap and storing it standing upright against the wall can cause a lot of damage to your rug. For one thing, the plastic wrap will seal in the moisture, encouraging mold and mildew that will damage the rug. Secondly, standing it upright can damage the lower edges that bear the entire weight of the rug. Your rug will last longer if it is rolled loosely and stored flat on the floor in a climate-controlled room. If your rug is already damaged, never try and do any repairs yourself. 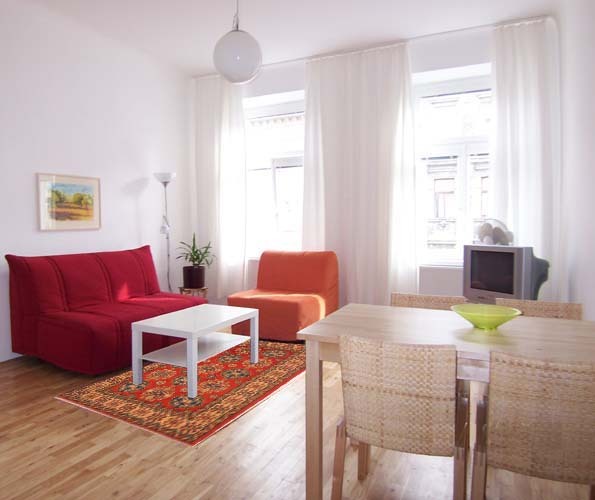 You must take it to a professional rug repairer to get it repaired. A professional will have the skills and experience necessary to repair your rug neatly so that the signs of any tears, worn-out areas or other damage are unnoticeable.